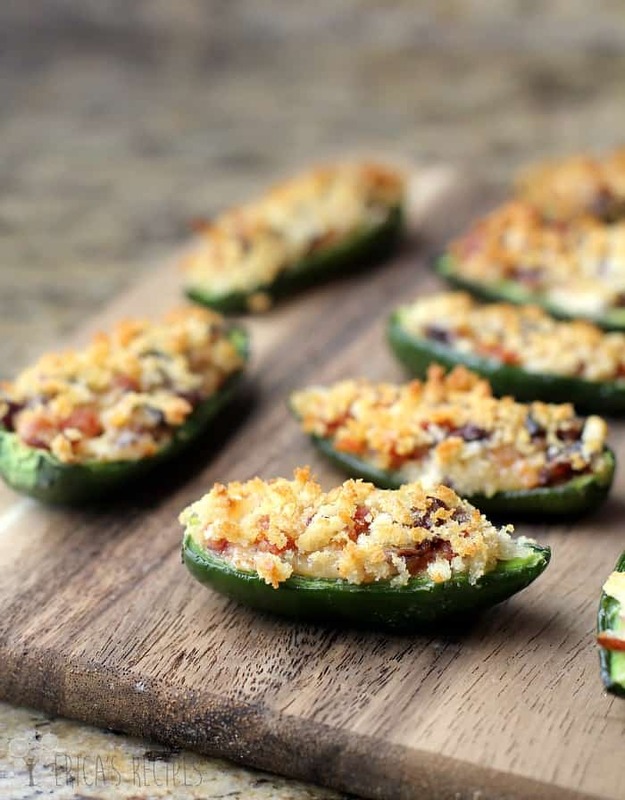 Spicy jalapenos, filled with a creamy, chorizo sausage and sweet cranberry stuffing, and panko crusted for a perfect crunch. 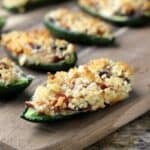 Cheesy spicy, sweet and salty, these Cranberry Chorizo Jalapeno Poppers are wonderfully different and will be a hit for any occasion. Here’s another little nugget of food, party food in fact, right before Christmas. Because Merry Christmas! 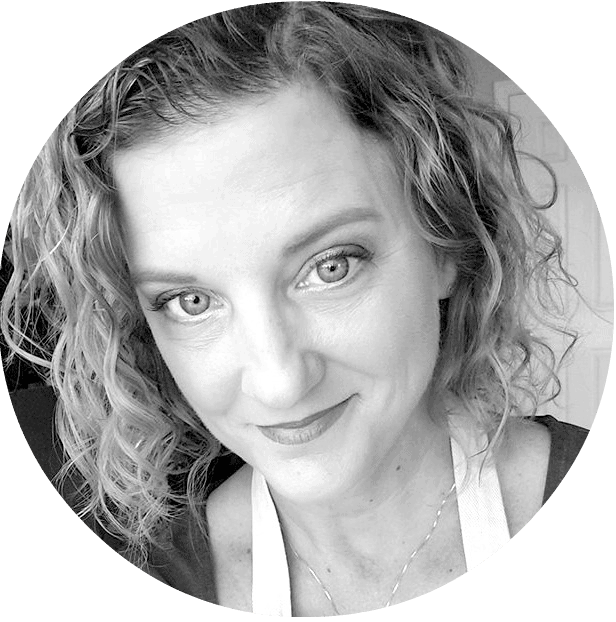 And because I have made this recipe a couple times now and they are just oh so tasty good that I wanted to share. It would be selfish of me not to. And that is not what this season is about. I mentioned in my post last week, about the current state of my home. We are hoping to have things squared away and cleaned up by Christmas Eve, but …looking around as I type …yeahhh. That will take a Christmas miracle. But we were also at Disney World this weekend, and now we are watching Christmas movies. We are healthy, happy, and together. That is what I always pray for my family – for us to be happy, healthy, and together. And we fully appreciate how blessed we are and what Christmas really means. Not tons of gifts or a big meal – neither are happening for us this year anyway. Christmas is about joyful hope and expectation. And giving and loving. Because Christ set the example for us all. So Merry Merry Merry to you all. Whether you are Christian or not, I hope and wish for you to embrace the sentiment to do for others as you would like done to you. To love. To nurture. To serve. And give peace. 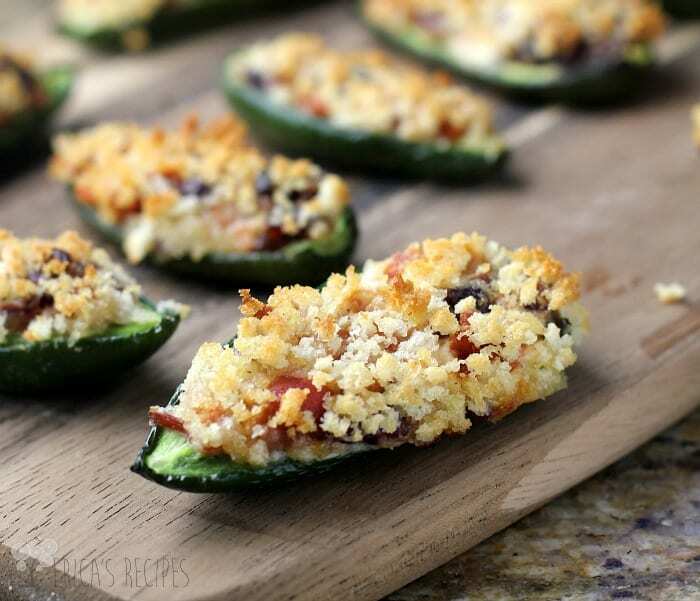 Spicy jalapenos, filled with a creamy, chorizo sausage and sweet cranberry stuffing, and panko crusted for a perfect crunch. In a medium mixing bowl, add the cheeses, chorizo, cranberries, sugar, and cinnamon. Use a fork to combine. Stuff the jalapenos and place on a bake sheet. Separately, add the panko to a small bowl. Drizzle with ~1/2 tsp olive oil and combine. 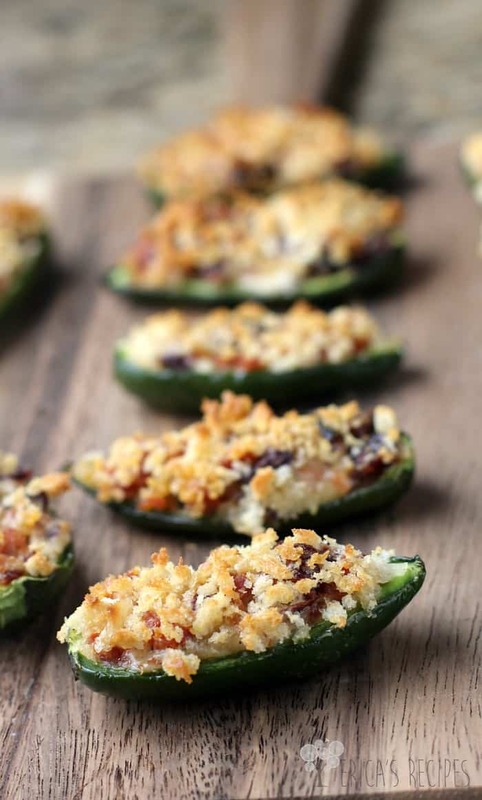 One by one, invert each stuffed jalapeno onto the breadcrumbs and gently press. Place back on the back sheet. Bake at 425F for 15 minutes until peppers are just slightly softened, filling is warmed through, and panko crust is golden. Yields approximately 32 appetizers. These sound absolutely amazing. 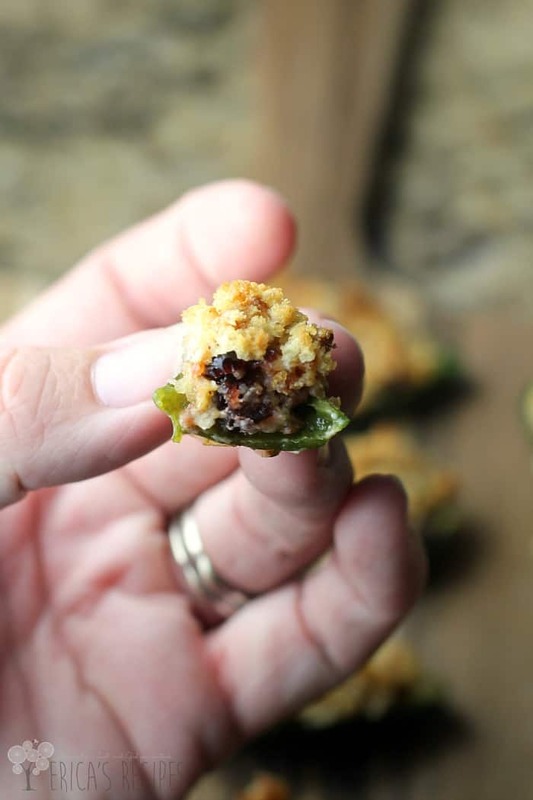 I love that you added a little bit of Christmas to a jalapeno popper. What a fun holiday party food! Merry Christmas and Happy New Year my friend! Jealous that you were just at Disney World! 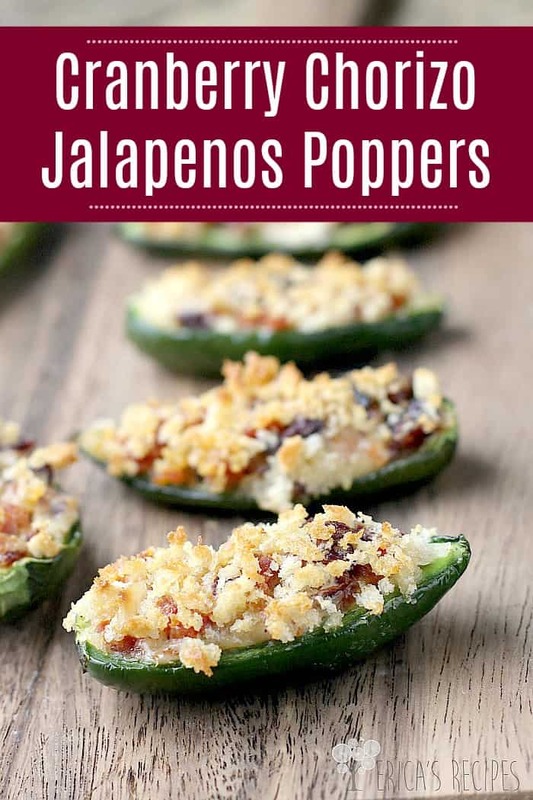 😉 And these little stuffed jalapenos look & sound amazing! The perfect holiday appetizer. YUM!! Such great flavors in this recipe! And Disney?? Fun! Love!! You’ve hit everything, creamy, spicy, sweet… these sound just perfect!